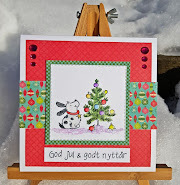 Hos Dorte: J and K are for... a DT card for ABC Christmas Challenge. 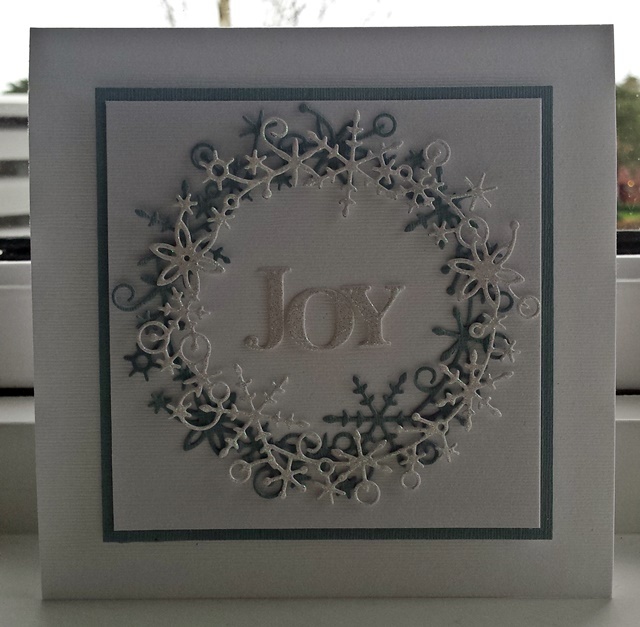 J and K are for... a DT card for ABC Christmas Challenge. 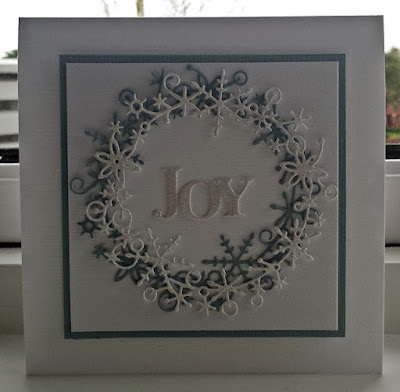 My card is a combination of the two themes, J for joy and K for Keep it simple. one in silver paper and one in white . I love this beautiful die. 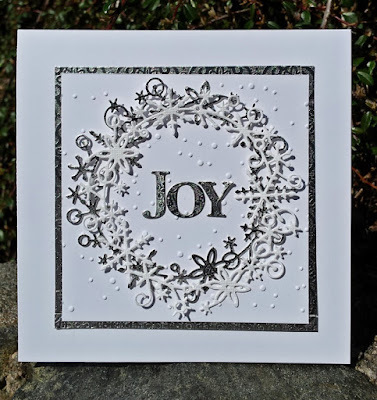 The letters are also cut out with a Memory Box die. colours and the word 'snow' on the two of them. glittery foam material for the die cuts. This card is purple- hard to say when you look at the photo. One lucky winner will receive a £ 10 voucher. 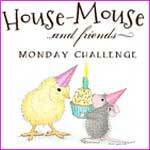 Prize for a lucky winner is a £10 voucher. Many thanks to our generous sponsors for your support. There is also a little prize from me Dorte. That means three chances to win! 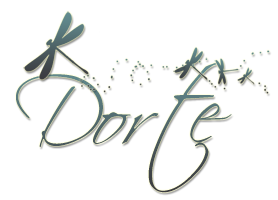 It is a beautiful die Dorte - and your cards are gorgeous! Thanks for joining us at Fab N Funky! Beautiful card with a gorgeous die cut snowflake circle, thanks for playing along with us at Fab'n'Funky this week. What a beautiful design Dot and I love how you layered the wreaths in two colours! They look so elegant and expensive!!! 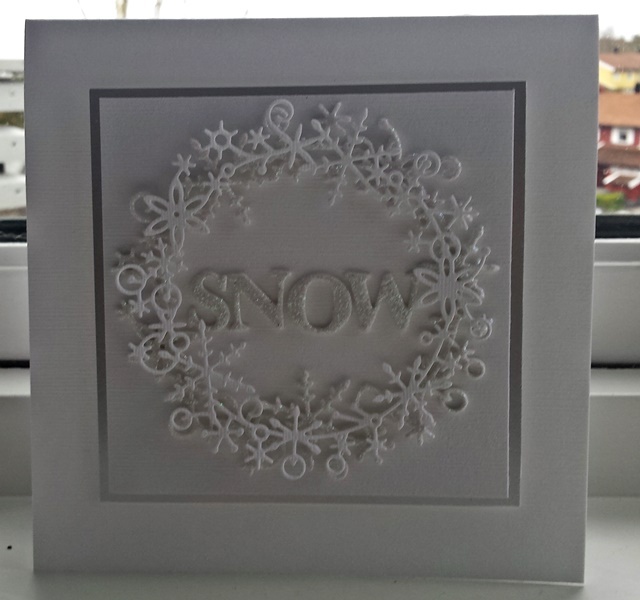 Lovely cards.I like the white on white with a bit of color. 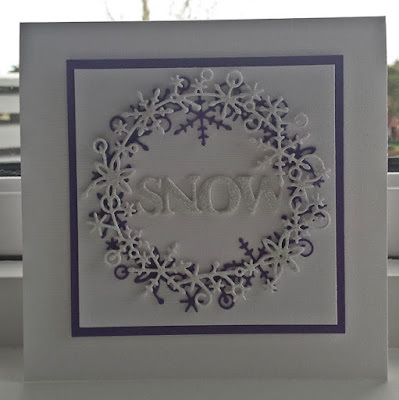 Thanks for playing along with us at the Papercraft Challenge! These are all so gorgeous!! I love the beautiful designs!! Thanks so much for playing along at Scrapy Land!! These are really elegant. 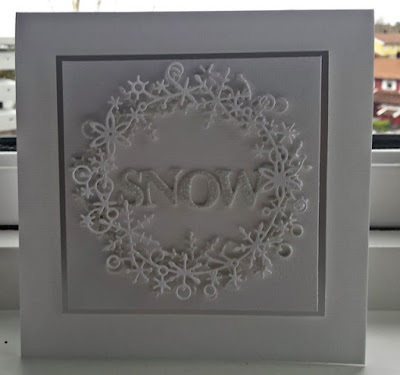 I love that snowflake wreath die.